يقع فندق فندق جاسبر في منطقة تتمتع بمعالم كثيرة، وتعتبر المكان الأنسب لاكتشاف هذه المدينة رائعة الجمال و ما يحيطها. لا يبعد الفندق كثيراً عن مركز المدينة، فهو يقع على بعد 0.1 km منها. في حين يستغرق الطريق منها إلى المطار حوالي 45 دقيقة. يوفر الفندق بفضل موقعة الجيد وصولاً سهلاً إلى أهم معالم المدينة.
. يقدم فندق جاسبر خدمات لا غبار عليها وكل أشكال اللياقة وحسن الضيافة اللازمة لإسعاد ضيوفه. هذه بعض الخدمات الموجودة في هذا الفندق: واي فاي مجاني في جميع الغرف, أمن على مدار 24 ساعة, خدمة التنظيف يوميًا, تسجيل وصول/مغادرة خاص, خدمة سيارات الأجرة. لقد جهزت هذه الإقامة الفندقية بعناية فائقة لتوفر مستوى عالي من الراحة. في بعض الغرف يجد النزيل تلفزيون بشاشة مسطحة, اتصال لاسلكي بالإنترنت, اتصال لاسلكي بشبكة الإنترنت (مجاني), سياسة التدخين - غرف لغير المدخنين متاحة, مكيف هواء. يمكنك طلب اللائحة الكاملة للخدمات في الفندق ومن بينها ساونا, سبا, مساج. إن كنت تتطلع إلى إقامة مريحة وهادئة في المدينة، فستجد في فندق جاسبر بيتك الثاني. Well situated at the top end of Melbournes cbd. Great location, close to our car rental office. Room was at the front of the hotel with a large balcony area. The bar downstairs had a great view of what was going on in busy Melbourne with big opening sliding windows so you can soak up the atmosphere. Breakfast was eaten in the other half of the front bar and was a la carte. 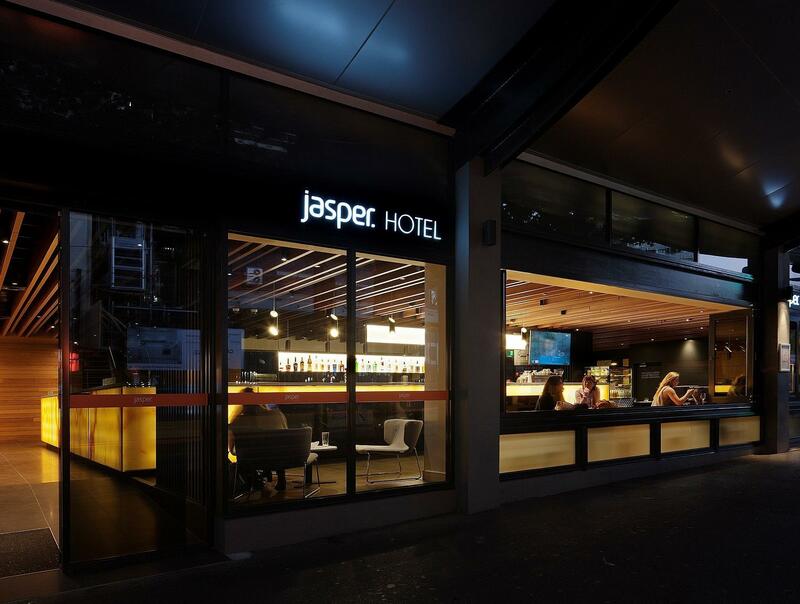 Beats queuing up, we would highly recommend this hotel when staying in Melbourne. We stayed one night. I found the room clean, coffee and tea facilities we're great and the bed was large and quite comfortable. Excellent location in the centre of town, actually 5 mins from my office! My only negative comment was the bathroom was a bit moldy and the shower leaked water onto the carpet of the bedroom. 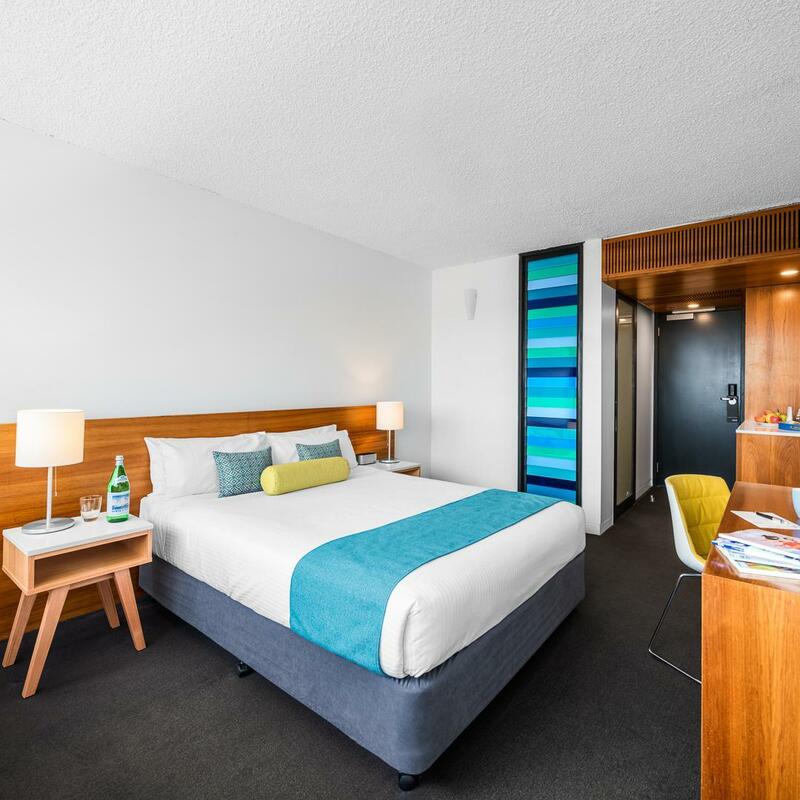 Location is almost next to Queen Victoria Market with many food options nearby, easy access to Central CBD tram station within 1 minute, near to pickup location for day tour. Had a nice stay and pleased with the excellent customer service from Renee and her team. The room is spacious, clean and tidy. Front desk staff is very friendly and helpful. Walking distance to the nearest city tram station. Can be improve further by fix or replace the toilet's door and hair dryer. I will still give a 5 star to this hotel. Excellently positioned - tram at the door. Front desk welcome friendly and helpful. Convenient to the hospital, university and market precincts . Plenty of dining out options. Rooms modernly furnished and clean. The only downer is the poorly presented and serviced in-house dining facility. No effort at all to create a comfortable and pleasant dine-in option. Room service not tried. All in all, a good experience! This is a nice looking hotel in a good location and quite clean, however...... We were not advised when we booked in (btw Xmas and New Year) that the kitchen was closed the entire time during our stay. No room service for us... Oh well we can get over that as there are plenty of food places around. Sad face. Unfortunately the water in our room was cold despite running it for 10 minutes. Went and spoke to reception, who was helpful and offered to come and check and/or change rooms, however as my daughter was going to sleep i declined. After running the water for another 20 minutes (!??!) very wasteful, we finally got enough hot water for a shower. Disappointed face. As the hotel does not have a pool, they have an arrangement with the Melbourne Baths, a beautiful historic indoor pool facility within close walking distance. Upon asking the staff twice, and being reassured it was open, and getting free passes to enter, we walked down there to find closed. Very sad family and 5YO tears! Exceptional service, great location, value for money. We rented the room for day use before catching a late night flight. Managed to secure an early check-in with a room upgrade from the very kind duty manager of the day. Clean, spacious room with a very large bathroom. Highly recommended for families travelling with small children. 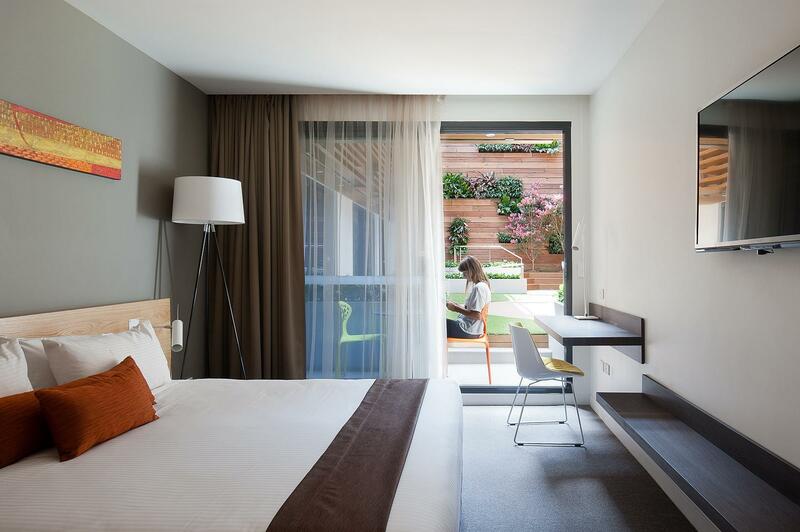 The hotel is near the Victoria Market, university of Melbourne. I would not check in to this hotel if not because of some events nearby. The room is small and the bed is so uncomfortable and soft. The hotel is very dated and old. This hotel is at an excellent location. There are a few convenient stores and a Mc Donald around the corner. Queen Victoria Market is also a minute’s walk away. For those who plans to rent a car, there are a few rental car companies within 10min’s walk (better book online first and collect from the company) Nothing to complain about. nice place. its clean and has a suspicious space. 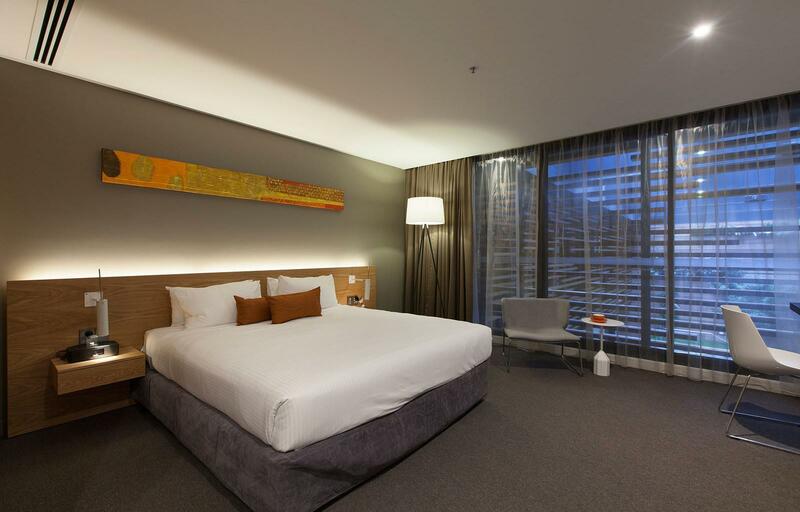 this hotel is in CBD so its near to almost every place that we want to go. McDonald is right in the corner so don't worry about food. Victoria's market only a walking distance. 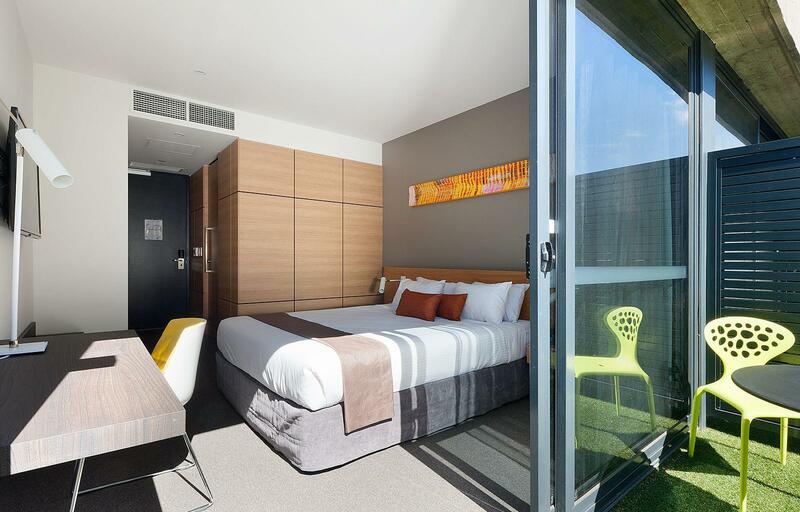 great place to stay in Melb. We were pleased with this hotel and for the price represented exceptional value. The included breakfast menu was of a high standard, the staff friendly and the location next to the queen victoria market and city tram lines made sightseeing accessible. 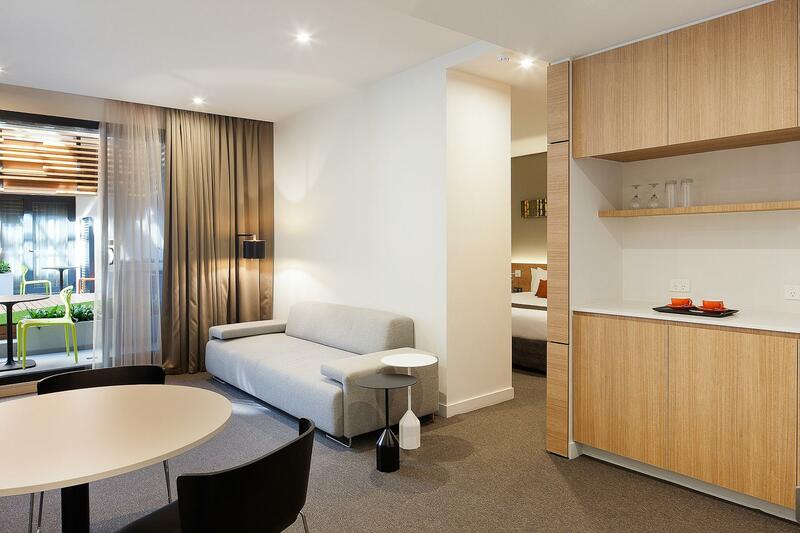 Located 10min walk away from Melbourne Central! Despite the free tram area in melb; I enjoy walking to various location instead. Hotel is directly next to QVM thus it is super convenient. Not the fanciest hotel but defo meet all the needs required for traveler. Would come back again for my next visit! Value for money: Good Location: Good location, you can just walk to go to queen victoria market. There’s a tram station in front, nearby 7-eleven, tons of restaurants, and even mcdonald’s beside the hotel. It’s also near to tour pick up points. It might be a challenge at first to go to the hotel as it’s not near south cross station but you can take tram or uber. Cleanliness: No issue. Aside from they only clean until 2PM which will force you to go out before 2PM if you want your room to be cleaned. Staff: Overall good specially Oscar who helped me when my AC is not working. I was transferred to a better room quickly and helped me transfer my stuff. There’s just one person in the reception which I find a bit rude who like scolded me when I asked if my room can be cleaned. They give 2 complimentary water but the same person gave me 1 water because I’m only one in the room but I’m paying for an accomodation for two. Facilities: I feel secured. Good facilities specially the bathroom. Location is great, right next to Queen Victoria Market, and walking distance to tram stops with major trams running through. It was my third time staying there, and it's bright, cheery and clean. Toiletries are great too. Prices were super affordable too. Only grip I had was with checking in, as it was just past 2pm and the room (a family room) still had not been ready. The receptionist was kind enough to compensate us with a drink voucher to be used at the bar on the first floor. Despite that minor gripe, I'll definitely continue to stay at Jasper Hotel when I'm in town. We stayed over grand final weekend and paid premium rates for a room that had two single mattresses put together as our king/queen size and was very uncomfortable. The next morning there was a small rat in our room, staff were really apologetic and changed room for us bad that was so terrible that it turned as off our stay. Really disappointed and ripped off for the room rate. 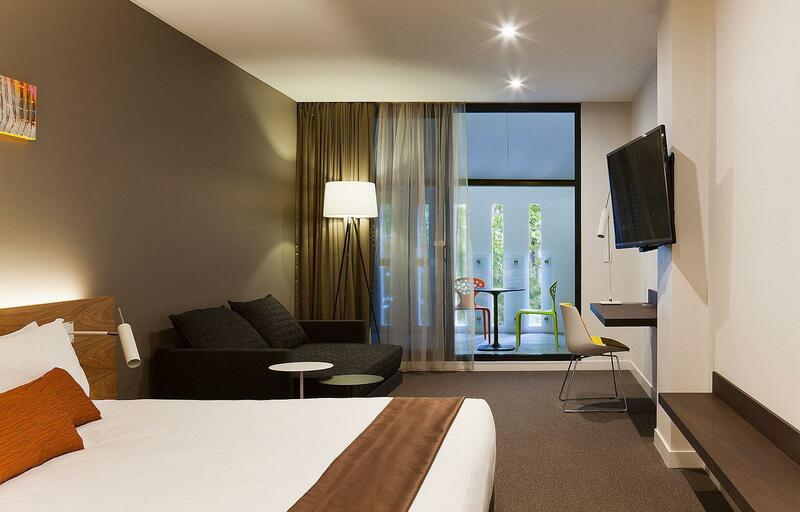 The only thing that impress me is the location of the hotel, easy access to shops, restaurants & queen Victoria market. Here are the cons :- 1. Careless mistake by the receptionist upon checked in, room being charge again even though payment had been made via Agoda.com a month before arrival. 2. Poor housekeeping - hair found on the pillow & bathroom which left from the previous guest. 2a. Poor Housekeeping - Housekeeper only made up my bed but failed to provide new towel even though towel is left on the floor to indicate new furbishment, empty bottle not being throw away, no refurbishment of soap, shampoo & drinking water, you have to call in to ask them to provide. 3. They claimed themselves as a 4 stars facilities but none of the facilities are available not even the most basic one. For example laundry services, you are required to walk 2KM away to a laundry shop to do your own laundry. 4. Dining service is terrible, they will ask you to eat outside as their kitchen is busy.